Rosh Hashanah, the Jewish New Year, begins Sunday, September 9, 2018, at sunset and lasts until nightfall Sept 11, 2018. Rosh Hashanah literally means head [first] of the year. 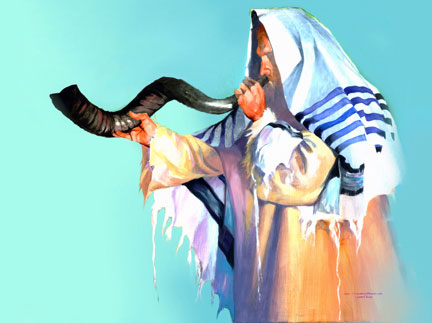 Rosh Hashanah begins the High Holy Days for Jews, known as the 10 Days of Awe, Yamim Noraim or the Days of Repentance. The culmination of the Days of Awe is Yom Kippur [on Tuesday night, Sept. 18, 2018] the Holiest Day for Jews. On the Jewish calendar Sunday night begins the year 5779. One of the most important observances of Rosh Hashanah is the sounding of the Shofar [a ram's horn] in the synagogue. A total of 100 notes are sounded each day. A common greeting for Rosh Hashanah is Shana Tova, "for a good year." This is short for Shana Tova Tikatevu ve-Techatemu "May God write and seal you in the book of life for a good year." 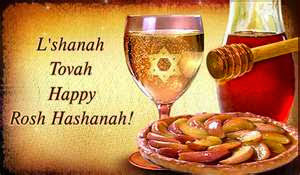 Also, frequently said is Shana Tovah Umetukah in wishing all to have a good and sweet year. To all a blessed good, peaceful and sweet year! I am a Muslim but have keen interest in studying other religions too. After wandering through your articles I can say that you are doing pretty good job in conveying a good info.